Ryan, Judith Hoegg. "Barrington". The Canadian Encyclopedia, 12 August 2016, Historica Canada. https://www.thecanadianencyclopedia.ca/en/article/barrington. Accessed 20 April 2019. 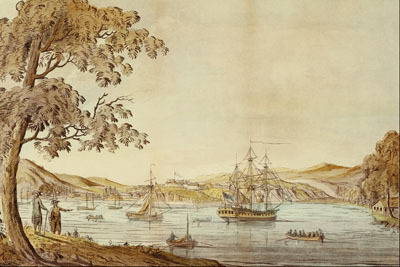 First known as Bacareau, a thriving Acadian settlement, it was completely destroyed by the British during the Expulsion. 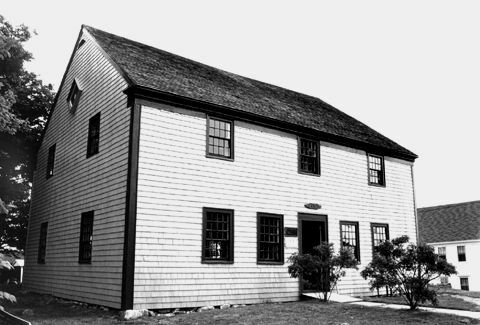 The village was rebuilt (1761) by immigrating Cape Cod and Nantucket fishermen, who named it after Viscount Barrington, Britain's war secretary. Trade and close ties with New England meant this potential "rebels' nest" was closely watched by the navy during the American Revolution. Fishing was the primary industry, and after 1800, ships were built for the lumber and fish trade to the West Indies. The Old Meeting House, now a museum, is the oldest extant nonconformist church in Canada (built 1765). Barrington is the municipal centre for the surrounding district. Five kilometres south, Barrington Passage, the former Acadian settlement of "Passage de Bacareau," is the commercial hub and junction to the Cape Sable Island causeway. Fishing remains the area's staple industry. BarringtonThe official website for the Municipality of the District of Barrington.